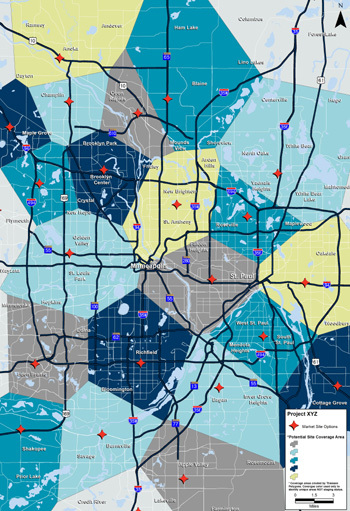 Our Geographic Information Systems (GIS) & Market Analytics group provides world-class analytical tools that aid in the real estate decision-making process using a robust collection of demographic, land, infrastructure and economic data. Our services include custom market statistics, customized maps and aerial photographs, property intelligence and competition analysis. We can provide customized information in a wide variety of formats, including statistical tables, 3D modeling, composite images and large-format prints.